As Trump's presidency nears its end, he proves once again that he will do whatever it takes to get what he wants. Since announcing his candidacy in 2015, President Donald Trump promised a stronger America. With his ideas and thoughts relying on the slogan “Make America Great Again,” he vowed to decrease taxes, exit from the Paris Climate Accord, eradicate ISIS and, most importantly, build a 1,827 mile-long wall on the southern border. However, this wall is a disastrous plan for the country as it would overall weaken the nation, spread racist policies across the country and discriminate against immigrants and their families. Trump’s long-lasting promise of building a border wall stands as one of the most controversial promises any president has ever made. It has recently been the cause of numerous extremist and racist actions nationwide. Seeing the United States, an international powerhouse, reject such diversity on which the nation is based on in the 21st century is baffling. With a plethora of ethnicities nationwide, separating the U.S. from the country we share a border with simply because of preconceived opinions on the ethnicity of their citizens would be a new low for the nation. Needless to say, the United States is a melting pot of cultures from all horizons that should accept all individuals and creeds. Although President Trump has tried to accomplish his campaign promise, the $5.7 billion request has been denied multiple times by Congress, blocking him from acquiring such a colossal sum of money. “I think the government shutdown not only affected American citizens, but the economy itself. The shutdown left many stranded and financially distraught. We should definitely adopt a more lenient view for the wall, to help immigrants come to the country,” freshman Patrick Morris said. President Trump simultaneously declared a National Emergency in hope of funding his impractical 30-foot-high wall along the U.S.-Mexico border. “I didn’t need to do this, but I’d rather do it much faster,” Trump said, trying to justify his capricious demand in a speech in February. “We have an invasion of drugs and criminals into our country.” According to the Atlantic, when a president announces a national emergency, he is fully entitled to anything, regardless of legal limitations. Laying in front of the president are more than 100 excessive — but legal — powers granted to him the moment he declares a national emergency. For instance, he can imprison people without proper evidence and judicial review, freeze bank accounts and companies, control the internet’s web addresses and take away the rights and freedoms of American citizens. Subsequently, a coalition of 16 states led by New York and California rightly believe Trump is abusing his powers as a president through his immoral and petty national emergency and are planning on suing him. This is clearly comprehensible taking into account that there is no emergency at stake, making it evidently morally wrong and inconsiderate. 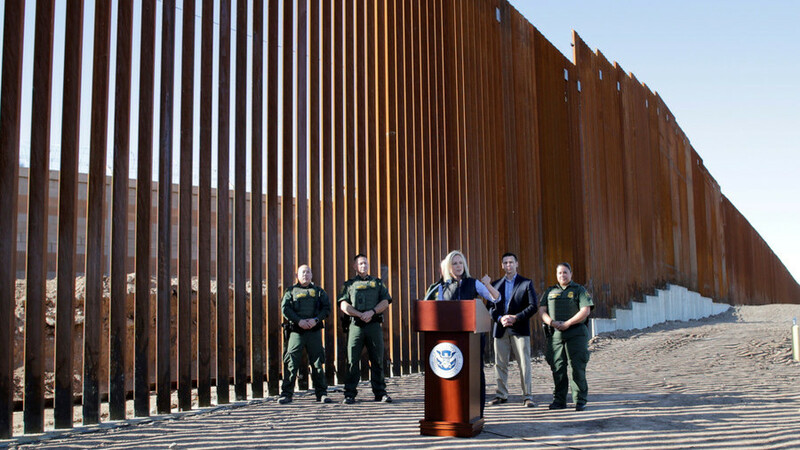 Nevertheless, President Trump’s declaration of a national emergency to fund his border wall has proven to be ineffective and overly expensive for the security of the American people. By spreading racist values and perpetuating discrimination against immigrants, Trump’s plan fails to better the lives of the American people — especially non-white citizens — and contradicts one of his promises of improving the United States economy as the building of the wall would only push the country further into debt.